This morning opened with a 6.2-mile run, begun before sunrise and ending just as the day warmed. My friend remarked the moon’s cusp was so bright, the dark half also shone. I get a sense of the physical sphere up there, the Moon as object, when the Dark Side is illuminated. Looking up at the Moon I feel my own life more concretely. After many years focusing on research, data, and analysis – and really forcing all my right-brain creativity into a narrow left-brain chute – I have emerged on the other side. I opened up the novel files to see if I still cared. Imagine my astonishment: Not only do I still care, but I have so much narrative stored inside that took shape over the last eight years. Yes, opening those files and reading that opening, I felt my own breath, my own life, return. I am different now than when I started the novel in 2002. Among many other life changes, I am now eight years divorced – as compared with two years’ married. 16 years is a long time, and yet for the life of the novel, what matters is not the years, but my own understanding. And for that, I am grateful. My artistic vision now is more polished. Thanks to many years as a data gal, I am also more focused and disciplined. My thoughts still unmoored in many ways, and yet they are no longer so fragmented and unconnected. I see the thread of narrative now. I respect the tedium of explanation, although it’s still not a strong point. Back to Kerouac. I revisited his home with a friend in June. 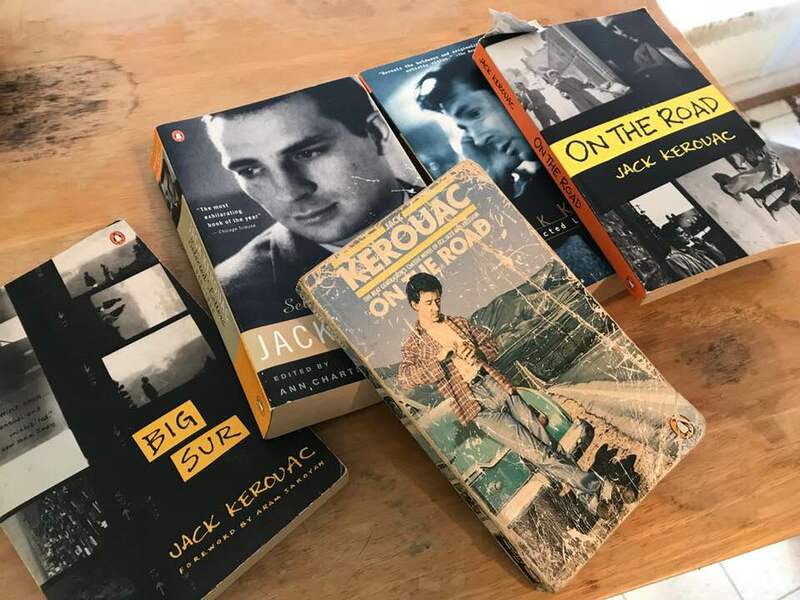 I am revisiting that time in his life, roughly 1952-1957, or the years prior to On the Road’s publication. I’d like to explore those years more, define them. I’m not sure that’s been done. No, I’m not Ann Charters (the amazing Kerouac scholar). But I feel affinity with Kerouac for any number of reasons. His first language was French, my second, nearly native, is also French. I think, feel, express myself, and experience the world differently in French. I believe he did, as well. We also share a Christian mysticism, along with curiosity about, and dedication to, Buddhist principles. Last, there is the mystery of nature which Kerouac embraced. Indeed, it may be at the heart of his travels. His road stories focus on the surroundings, the freedom of space and setting. His stories about Big Sur, his letters about writing often focus on the woods. There’s usually a trail nearby, especially in works outside of On the Road. I’ll post chapters as I complete them, unedited as they are. “The secret of writing is the rhythm of urgency,” Kerouac said. With this window in my life, there is urgency. Marion, you echo Charlotte Bronte’s often-quoted letter excerpt, “I write because I must!” These recent years have not been fallow; you have, without realizing it, been working out the novel’s narrative, characters, plot points … Now, it’s time to get that vision down on paper. Get the ingredients down from the shelves and start mixing them up. The time to bake will come. I look forward to more info about Kerouac. His work has never really captured my imagination, but it’s better than poetry.